Desert Island Discs celebrated 75 years of programmes last week. An incredible feat for a format that has barely changed since its inception in 1942. Presenter Kirsty Young did a special two hour show looking back at the show’s history, in which she featured some of the stand out interviews, and some of her own favourites. This is so sad. In the midst of such pain and confusion, little seven year old Maya believes her voice will get her in trouble. It is a true story, but a metaphor for so many female experiences, of believing that to speak out, to be heard, is to be wrong. 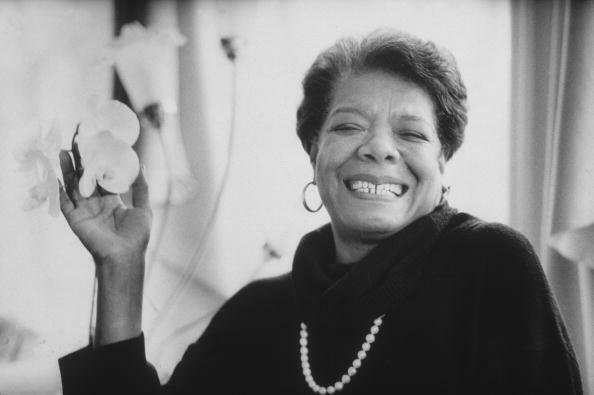 Angelou tells Parkinson that she was eventually saved by poetry. By being compelled to speak beautiful words out loud. Perhaps not surprising for someone who writes with such power and lyricism. And it seems, in fact, that perhaps her whole life, all of her writings, are a powerful act of defiance and strength, of saying that her voice does count, that it must be heard, that she must not be silenced. Indeed, that the caged bird must sing. You can hear her whole Desert Island interview here, find out about all of her books, writings and poetry here, and don’t miss her wonderful book Phenomenal Women, written about female strength set against the beautiful paitings of Paul Gaugin. Previous Post Thank you for not sharing….